Here are the projects that we made this month at my stamp clubs and classes. This card idea was cased from fellow demonstrator, Meredith Briden. 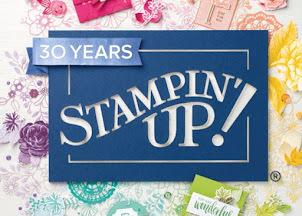 I adapted it to use current Stampin' Up! products. 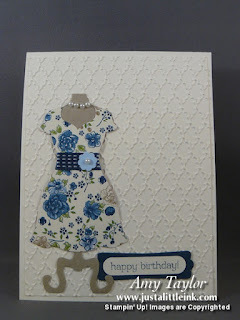 Love the card, and so did my gals! This little 2-4-6-8 box was a hit (at least from most)! I had made these back in 2007! How the time flies, but it was great bringing back some oldies but goodies. 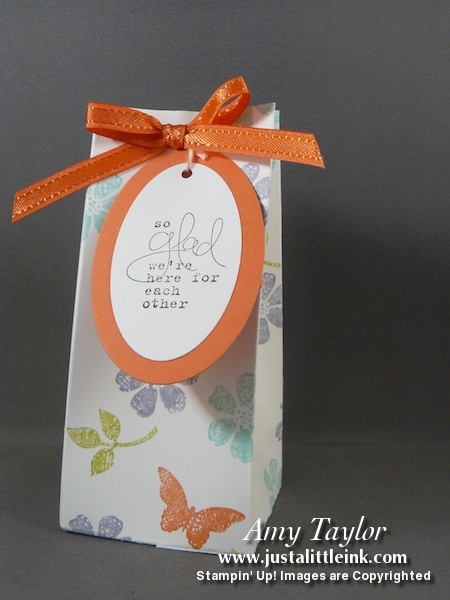 Uses just a half-sheet of card stock. Scored with the Simply Scored tool along the 5-1/2" side at 2, 4, 6 & 8 inches. Turn 90 degrees and score along the 4-1/4" side at 1". The little rectangle that is formed along the bottom is cut off, and the score lines that are 1" at each interval are snipped up to the horizontal score. 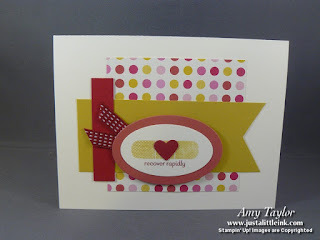 Fold and attach with either Sticky Strip or Tombow Multi-purpose glue! I'll look at posting a tutorial soon. They are really simpler than it sounds. 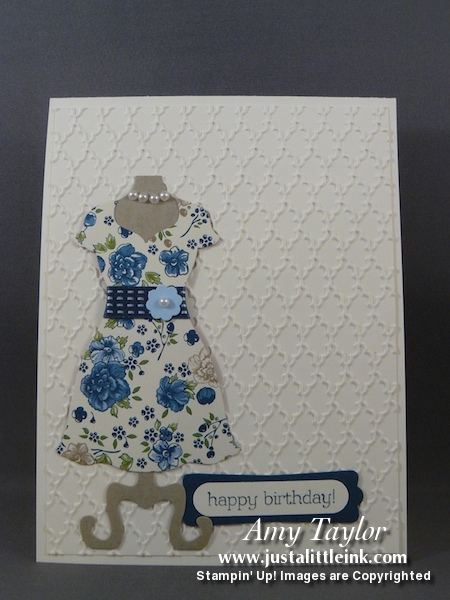 Both of these cards were cased from fellow demonstrator, Mary Fish This top card almost exactly like Mary's. 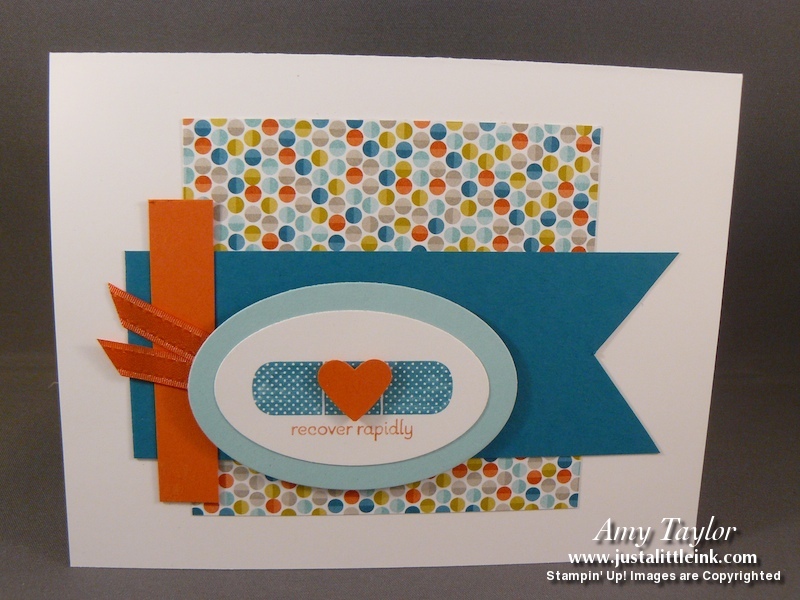 The bottom one using the wonderful layout, but changing it out to use all Sale-a-Bration products. Thanks for stopping by. Comments appreciated!